Seeing near, intermediate and far – with a single lens. There are many options for replacement lenses, and Dr. Fedyk will help you choose the one that best suits your needs. He is specially qualified to assist you in your premium lens choice. While training at the world-famous Parkland Hospital in Dallas, Dr. Fedyk personally conducted research on the visual outcomes of the first wave of Premium Multi-Focal Lenses. He also participated in a pilot program during his residency, the first of its kind in the country, where doctors gained first-hand experience with Multi-Focal Lens implants during live surgery. During your cataract surgery, your natural, cloudy lens is removed and replaced with a new, implantable intraocular lens (IOL). A standard IOL implant will restore your vision, but it will be limited to a single focal point, and you will need glasses for your daily activities that require near or middle vision. Multi-Focal lenses, such as the ReSTOR™ or Technis lenses, are similar to bifocal or trifocal glasses, and can provide a very wide range of vision after your cataract surgery. 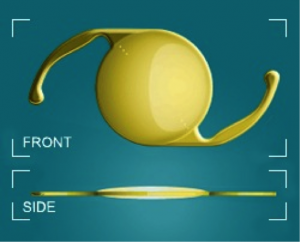 How does a Multi-Focal IOL work? The Multi-Focal lenses offer patients multiple focal points, so that they can see well at more than just a single distance. These lenses provide better near vision than the Accommodating lens, so as Dr. Fedyk’s clinical review studies revealed, more than 95% of patients with these lens implants never or only occasionally use glasses. 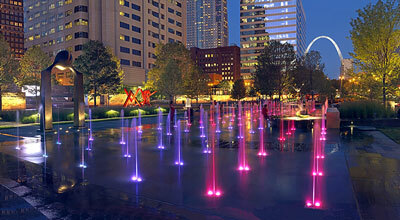 The disadvantage of multifocal lenses is that you will have some halos around lights at night. The halos diminish with time, and the vast majority of patients say that the benefit of their new vision far outweighs the mild visual distractions. This is a trade-off decision that will be different for everyone. Providing a wider range of clear vision without glasses. During your cataract surgery, your natural, cloudy lens is removed and replaced with a new, implantable intraocular lens (IOL). A standard IOL implant will restore your vision, but it will be limited to a single focal point, and you will need glasses for many daily activities. The FDA approved accommodating lens, Crystalens, uses the natural focusing ability of your eye to restore your vision in a more natural way. How does the Accommodating IOL work? As we change our focus from distance to near, the natural human lens moves within the eye. That is why young people can see very fine print without glasses. This ability is lost with age and our range of vision diminishes, particularly at near, thus necessitating reading glasses. The Crystalens is designed to slightly and imperceptibly move and flex in response to your natural focusing muscles inside the eye, allowing it to change power or accommodate, thus restoring some of this reading vision. The two-year clinical trial that supported the FDA approval of the Crystalens indicated that 92% of the people enrolled in the study (implanted bilaterally) could see 20/25 or better at distance, 96% could see 20/20 at arm’s length and 73% could see 20/25 at near without glasses or contact lenses. What is more exciting is that 98% of these people could pass their driver’s test, 100% could see their computer and dashboard, read the prices in the supermarket or put on their makeup, and 98% could read the telephone book or newspaper, all without glasses or contact lenses. Most patients achieve a large degree of spectacle-independence for distance and intermediate vision and only use glasses for reading. Astigmatism correction in an implantable lens. During your cataract surgery, your natural, cloudy lens is removed and replaced with a new, implantable intraocular lens (IOL). A standard IOL implant will restore your vision, but it doesn’t correct astigmatism, a form of vision distortion that is caused by the shape of your eyeball. 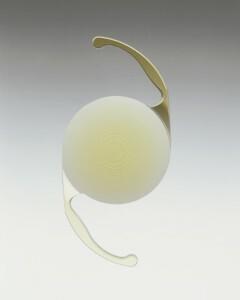 If you have astigmatism and you get a standard IOL implant, you will still need glasses for all of your activities. The new Toric IOL is designed to correct larger amounts of astigmatism in order to provide sharper vision and less reliance on glasses. Neither the accommodating lens nor the multi-focal lenses provides good vision for patients with higher levels of astigmatism. 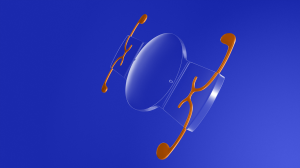 Toric lenses, however, are not multifocal. If Toric IOLs are implanted in both eyes for distance vision, then reading glasses would need to be used for near vision. Alternatively, one eye can be made better for distance while the other eye is better for near vision (“monovision”), thereby reducing the need for glasses. Dr. Fedyk is excited to offer the latest advance in intraocular lens design. These cataract lens implants are customized to correct for larger amounts of astigmatism, and at the same time allow for improved uncorrected near vision. The Trulign Toric intraocular lens is the first toric IOL that corrects for astigmatism and, unlike other standard toric lenses, has the additional capacity to deliver improved vision across a natural range of focus. In the FDA clinical trial, the Trulign Toric intraocular lens demonstrated improved uncorrected near, intermediate and distance vision. The unique design provided superior rotational stability. The Trulign Toric intraocular lens represents a significant step forward in intraocular lens technology, providing predictable astigmatism correction combined with improved visual acuity for an active lifestyle. 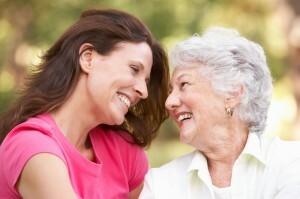 Find out about all of your cataract treatment options. You don’t want to decide on a Cataract treatment without learning all of the facts. Your eyes are as unique as your fingerprints, and you’ll want to consult a specialist to help you decide on the best way to preserve your vision. 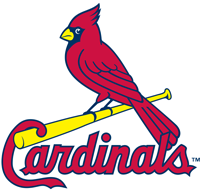 At St. Louis Eye, Dr. Fedyk will give you a thorough examination and explain all of your options, so that you can make an informed decision about the right solution for you.